Jumpstart your day with this Cinnamon Quinoa Breakfast Bowl! With fresh fruit, toasted nuts, and warm spices, it's refreshing, healthy, and satisfying. If you saw what I eat for breakfast every day, you would be so bored. Don’t get me wrong, I absolutely love my daily eggs & avocado, but lately I’ve been trying to switch things up just because I think change is good every once in a while. Especially if that change means another excuse to smother things in peaches. 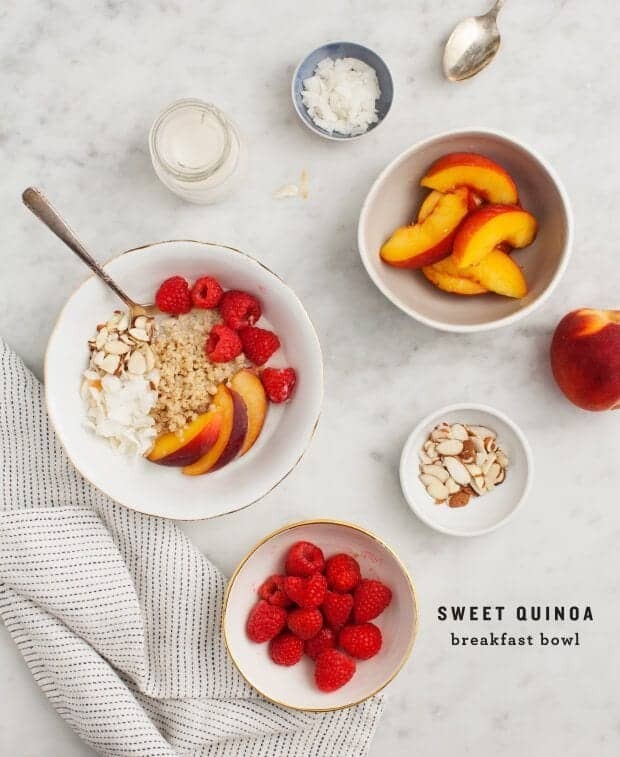 This quinoa breakfast bowl is inspired by the beautiful bowls of oatmeal that I see all over the internet. You know the ones – they’re chock full of colorful fruit and other various superfoods. They’re so pretty that they make me wish I liked oatmeal… so finally I had the idea to make a sweet non-oat quinoa bowl for breakfast. To make the base of this recipe, I cook quinoa in almond milk with a few cinnamon sticks. It’s this simple: Almond Breeze + quinoa + whole cinnamon sticks. You could also get creative with your spices. Nutmeg, cardamom, and/or vanilla bean would all be welcome here. To your spiced quinoa, add whatever seasonal or dried fruits you like. Obviously, peaches are my thing right now; the raspberries are for Jack because they’re his favorite. For crunch, I topped these with toasted almonds and coconut flakes. I’m going to give you two options for serving these bowls: my preference and Jack’s preference. My way – I’m not a fan of mushy food, so I like my quinoa bowl served pilaf-style. This way, you cook the quinoa as you would for most other recipes, without too much liquid. It stays fluffy, and it can be served warm off the stove or at room temperature if you make it in advance. Jack’s way – Jack likes this quinoa breakfast bowl served porridge-style. This way, it’s best served hot with plenty of almond milk to soak into the quinoa. Sweeten the deal by drizzling a little maple syrup on top. 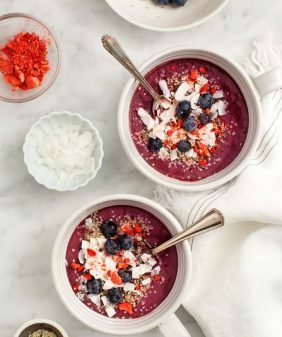 For more breakfast bowl ideas, try Overnight Oats, Many Ways or this chia breakfast bowl! Swap out your oatmeal for this delicious, protein-packed quinoa breakfast bowl! Top it with your favorite seasonal fresh or dried fruits, nuts, and seeds. Vegan and gluten-free. Rinse and drain the quinoa. Place it in a small saucepan and add the almond milk, 1-2 cinnamon sticks, vanilla, and a pinch of salt. Bring to a high simmer, cover and reduce heat to a low simmer for 15 minutes. (Tip: don't walk away, if it starts bubbling, turn the heat off, give it one stir mid-cook if you need to, and resume). After 15 minutes, remove the pan from the heat and let the quinoa sit for 5 more minutes or until the almond milk is absorbed and the quinoa is cooked. Taste and add additional spices to your liking. Scoop the quinoa into two bowls and top with toasted almonds, toasted coconut, and fruit. Serve with maple syrup if you like. Enjoy as a fluffy pilaf, or as more a porridge with warm almond milk poured on top. - Cooked quinoa can be stored in the fridge for 4-5 days. Serve at room temp or heat it as you're ready to serve. If it's dry, add a few more splashes of almond milk. - Sub in whatever seasonal fruit you like, dried fruits are also delicious here. I love this idea as a fresh alternative to oatmeal, and I know it would keep me full and happy all morning long! The cinnamon infused quinoa sounds just so delicious! I love breakfast bowls, I posted one on my blog today, too. Happy Monday! Anything with peach in it this time of the year is just soooo amazing! 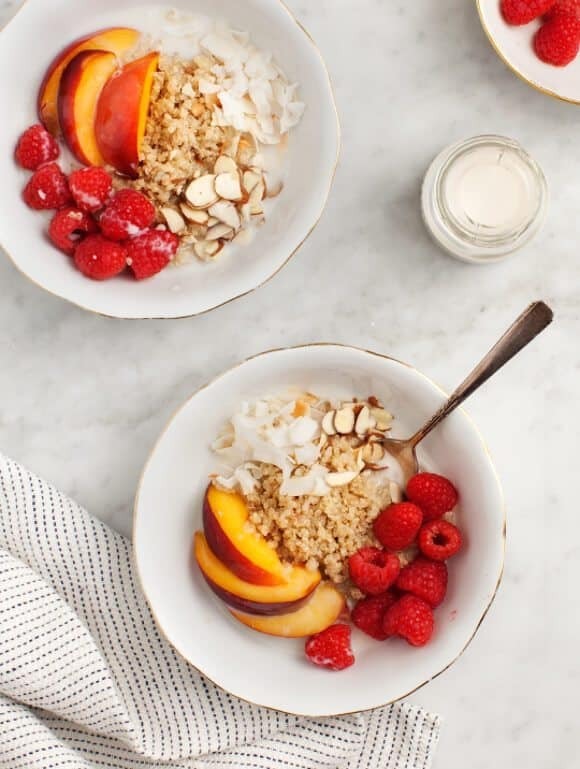 Waking up to these delish breakfast bowls with peach + cinnamon guarantees an amazing start to the day! I just went to food heaven!!! Can’t wait to try this!! Quinoa’s found its way into my salads, my soups, and now my breakfast bowls for the week! Sounds tasty! When do you add the cinnamon sticks? 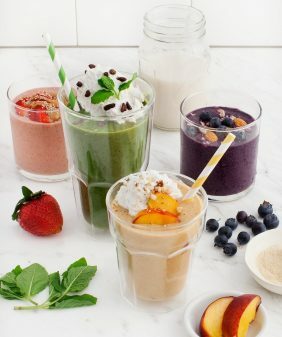 this looks so healthy and yummy for breakfast! 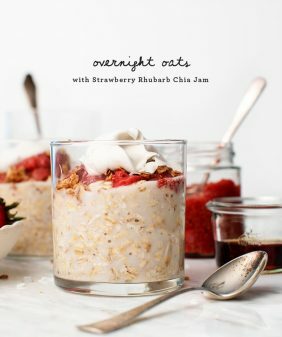 I’ve never used quinoa for breakfast–I usually make my oatmeal with just regular oats, but this sounds like a very nice and light swap! Great use of peaches Jeanine. I like seeing them used in something beyond desserts, although there’s nothing wrong with those either. 😉 And ironically enough I’ve been making a nectarine quinoa porridge lately with the turn of our weather for the colder. Must try peaches and cinnamon next. Yum! Such a beautiful bowl! I’m like you and tend to eat the same thing every morning – eggs + a whole grain english muffin, but this may just break me out of my routine! Mushy quinoa- no thank you. Quinoa for breakfast- yes please! This sounds like a fantastic breakfast as it’s finally starting to cool off a bit here up North- still filled with summer fruits, but with some heartiness that I miss when it’s the dog days of summer. And your photographs for these are beautiful. So gosh darn PRETTY! I love quinoa for breaky, its so filling yet light! My breakfast routine is in serious need of a change-up, and I think this breakfast bowl situation is just the remedy. That spiced quinoa, OMG. 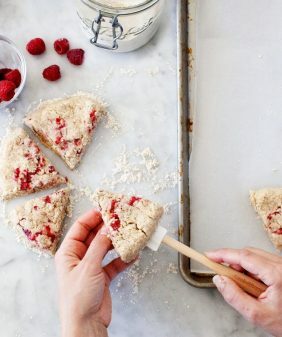 I have never tried quinoa for breakfast but now after reading this you have me wanting to try — totally inspiring. Could this be made with cows milk and would the measurements be the same? We have a severe tree nut allergy in our house! I just make my quinoa with water and then add fruits (or veggies) and seasonings according to my preferences at the time: cinnamon, nutmeg, pumpkin spice, organic raw honey, etc. Rice milk, coconut milk, or hemp milk (a bit pricier) would also be good options. Quinoa is so versatile! Hope this helps. Yum! I’ve been wanting to make a quinoa bowl for breakfast for so long, but haven’t gotten around to it quite yet. I’m not a huge fan of oatmeal in the morning, and quinoa is such a nice substitute! I had to do a double take! I didn’t know if I was looking at a meal or a dessert! This looks very good. I haven’t had a chance to make it yet, but I’m going to the next time I go to the grocery store! Oh yes, quinoa for breakfast please. I absolutely love quinoa, in fact, it’s always making its way to my recipes whether it’s salad, risotto or even dessert! It’s super nutritious and also gluten free! What a healthy and nutritious breakfast!!! It served in simple and quick way! I normally have oats as my breakfast! Its time for a change! This is such a great idea ! You’re talking about boring breakkies, i had plain boring oat and almond milk this morning. So tomorrow i’ll try your quinoa, i’m sure i’ll love it !!! thank you so much for the recipe. I discovered quinoa a few years ago, and love it for salads, and mixed with veggies. There is nothing that it doesn’t go with. And now breakfast.. Wow! Thanks. Omgosh great idea…now anybody else up for a Chia flavored Quinoa breakfast bowl! Oh my goodness, is this brilliant! And what a great way to change the breakfast game up while still celebrating all the gorgeous seasonal fruit. 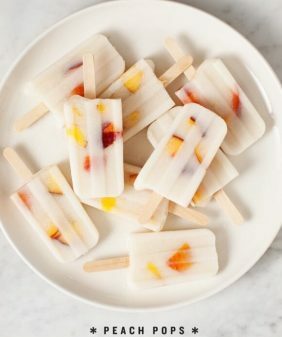 I can tell I’d love this simply because of the spices and the addition of peaches and raspberries. So. Darn. Good! I understand what you mean about changing your breakfast up a bit. That’s what I’m currently in the process of doing. Haha! I’m probably one of the few who has not jumped on the quinoa bandwagon, but this quinoa bowl sounds very interesting. Hmm…. I may have to see what this “quinoa for breakfast” craze is all about. Thanks Gloria, I hope you enjoy the quinoa bowls! I saw this recipe and just had to make it. I just had it for breakfast, and it was delicious yet so simple! I added toasted coconut, blueberries, almond slivers and hemp seeds to mine. This is definitely going to be something I make frequently! Any kind of quinoa will work – I used regular quinoa just for the look, but they all generally have a similar taste and texture. Hi! Can i use ground cinnamon instead of cinnamon sticks? Thanks! 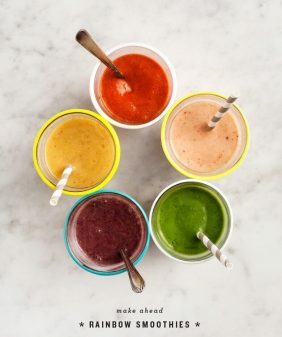 yes – I’d start with 1/2 teaspoon and add more to taste. where are your bowls from? i love the gold-rimmed bowls! You could use a good pure vanilla extract – simmer it with the quinoa. I hope you enjoy! My quinoa bubbles over when I tried to bring it to a high simmer. So I started over and I brought it to a high simmer and turned it down to a low one. I placed the lid on top and it bubbles over again. I even took it off the heat for a minute to prevent that from happening but no luck. What am I doing wrong? Hi Danielle, that’s so weird, it sounds like your stove might run a little hot. Maybe start with a medium simmer and just keep it as low as you can (adjust the timing until the quinoa is tender) – if it’s boiling over your pot is too hot. Hope that helps!